AKS LLC. 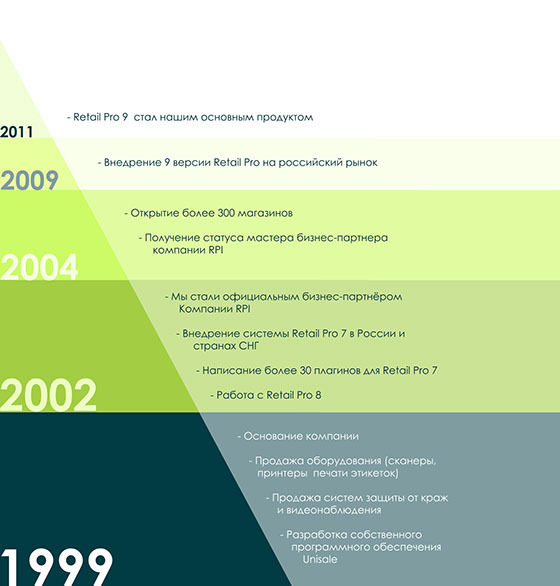 is the oldest and most experienced business partner of Retail Pro International within the borders of Russia & CIS. We have successfully localized and promoted this software in Russia. For over 15 years AKS LLC. has been offering Retail Pro solutions for Russian and foreign retailers, that decided to enter Russia. AKS LLC. was founded in November 1999. During these years we have come through a long process of internal development. Initially we have been offering our expertise in many different areas, but soon realized that we can offer more added value for our clients if we specify in retail software integrating. You can learn our brief history by opening a schematic pyramid on the right, or you can continue reading the text version.